Why does Nintendo make it so hard to love them? I mean I do. But it gets harder all the time. It’s not because they don’t make awesome stuff, because they do. But it’s the things they do like re-release consoles with just enough of an upgrade as to make me want one. It’s the sticking with cartridges for one generation too long because they knew better than the industry. It’s the not jumping onboard with online gaming and when they finally did, making it harder than it needed to be. 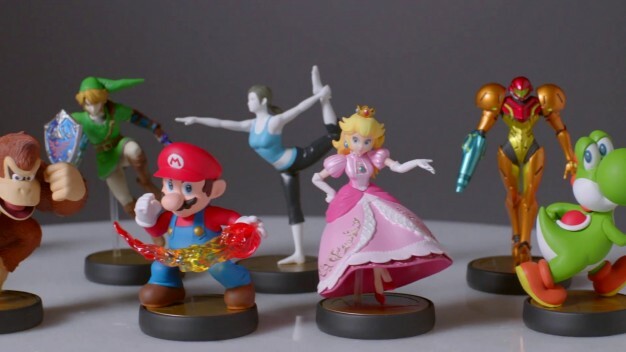 And now it’s making add-ons to make the games more fun with these Amiibo’s but making them difficult to get because there are such limited quantities. So if I don’t pre-order every single one that I want, well ahead of time, then I have to pay a premium in order to get it. It’s been well documented that the things have been under produced. Nintendo even said that they were trying to correct the situation. But I’m not sure that’s the real reason. Maybe they have ulterior motives. And I think I get it. They want them to not be video game add-ons, peripherals and game enhancers, but they want, maybe even need, them to become collectables and to help light a fire under their underperforming console. I love Nintendo and have had every system except the Virtual-Boy (it brought on vomit inducing headaches), but I can see through their little scheme. I’m not such a fan boy that I can’t see reality. They need these things to hold everybody’s interest until the new console is announced. And to be honest, it kind of annoys me that they are hinting at new hardware already. Just get some good software out into the marketplace and it will take care of the poorer than expected sales. Mario helped, but the new Legend of Zelda should really help. But if they push Zelda out farther and farther and then decide to make it a launch title on the Nintendo Wii 3 or whatever they decide to call it, I might just have to quit them.